Wipes. Active ingredients are: DEET 25%. 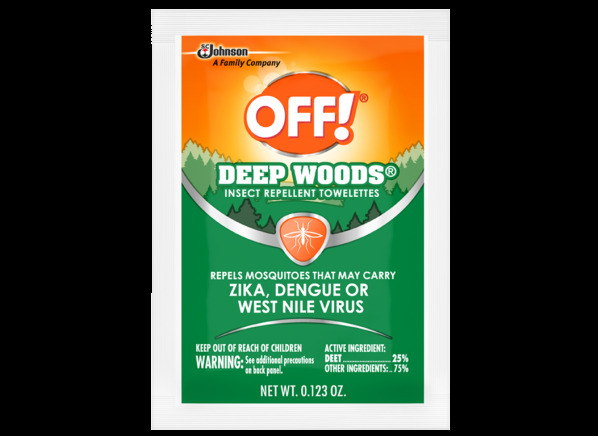 The Off Deep Woods Insect Repellent Towelettes is part of the Insect repellent test program at Consumer Reports. In our lab tests, Insect repellent models like the Deep Woods Insect Repellent Towelettes are rated on multiple criteria, such as those listed below.